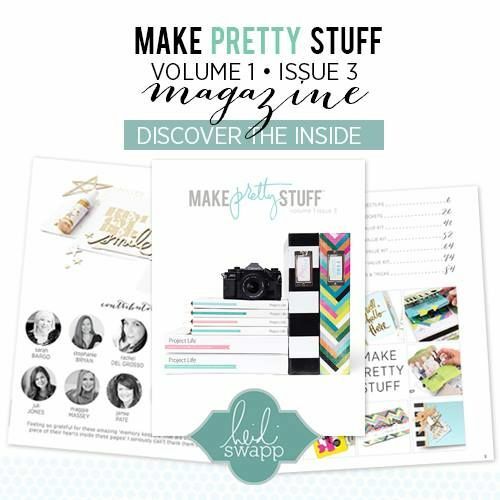 There are so many out there...and so many ways to use them! Let me start by saying I've never kept a diary. Oh, don't get me wrong. I've tried. But I'm pretty horrible at it. 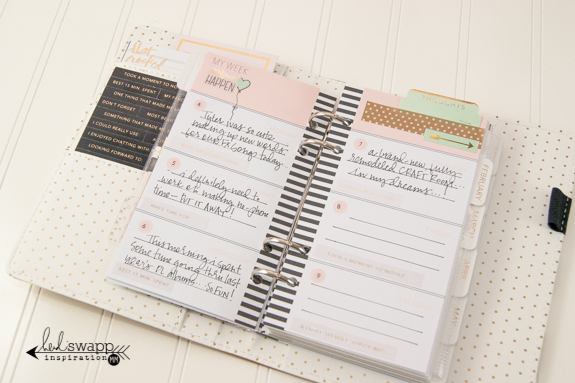 I find it much easier to journal a few lines on a scrapbook page...or to write a little daily snippet about our family life in my daily Memory Planner (the bigger one - with the gold dots - also from Heidi Swapp). 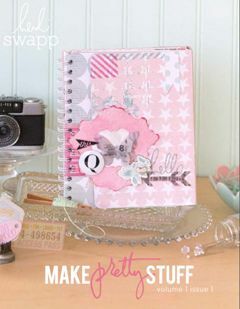 But this year I've resolved to keep a little daily diary...right here in this little Memory Planner. 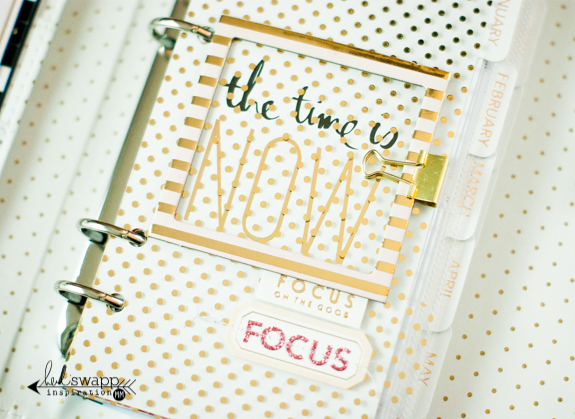 As soon as I open my planner I see this beautifully polka-dotted dashboard. 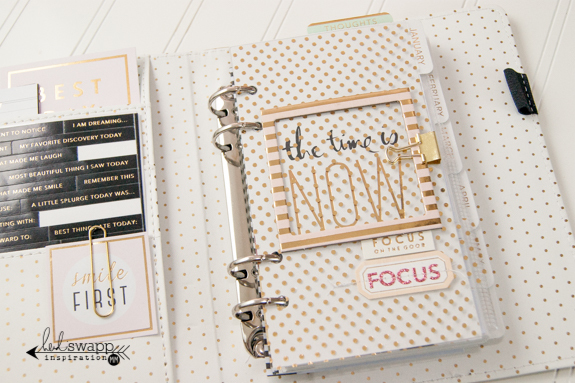 I created this page using one of Heidi's transparent binder inserts, a gold foiled frame, a few stickers and that fantastic pink glitter alpha! 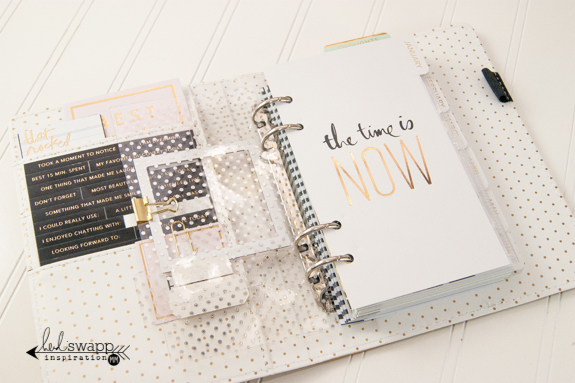 Here's how the page looks when I flip the transparency...this is the front page that comes with the planner...and it's another fantastic reminder. 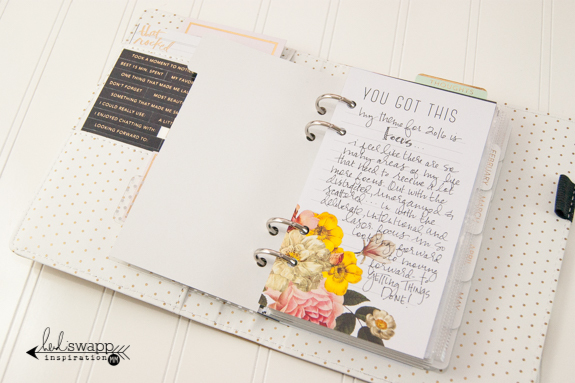 So this time around I'm using Heidi's journaling prompt stickers to get me started on daily personal reflection. I'm keeping these stickers (which come in both black & white in the same pack!) 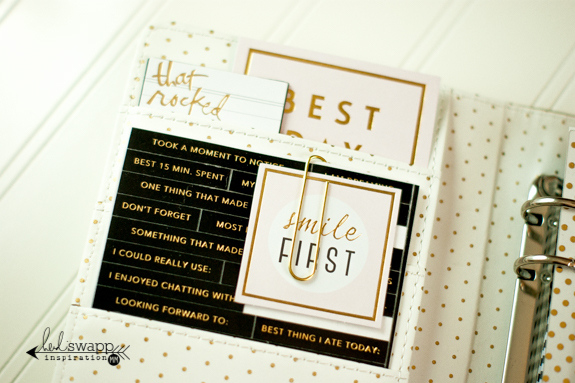 tucked right inside my binder...they fit perfectly...along with a few of Heidi's motiviational accessory cards. 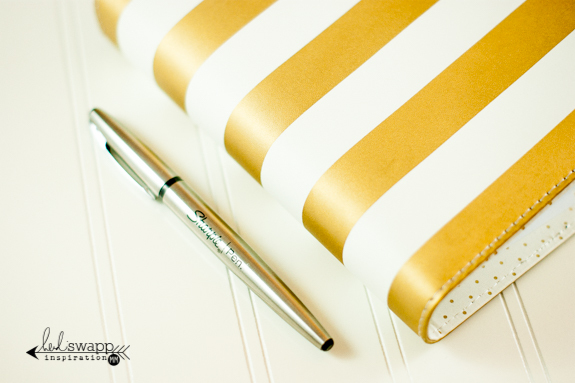 One of my favorite accessories for the Memory Planner this year is this Journaling Pad. 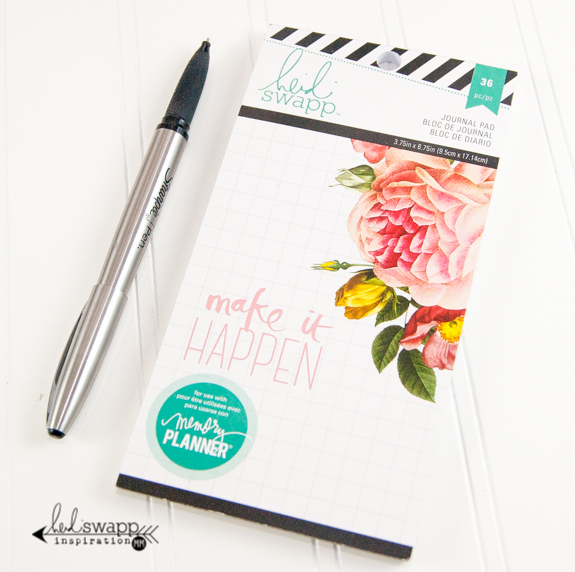 It coordinates perfectly with the rest of the Planner accessories - and it's the perfect place to keep extra notes. 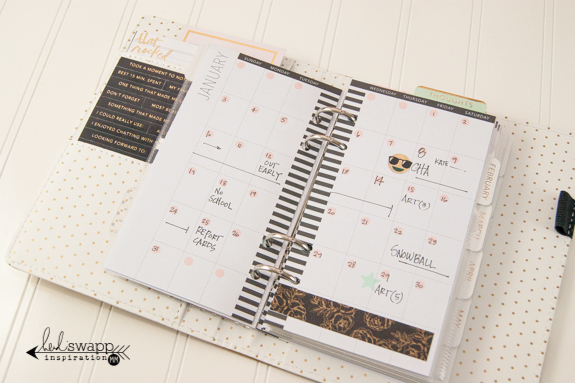 The perforated pages are so awesome - just tear out a sheet, punch your holes and pop into your planner! 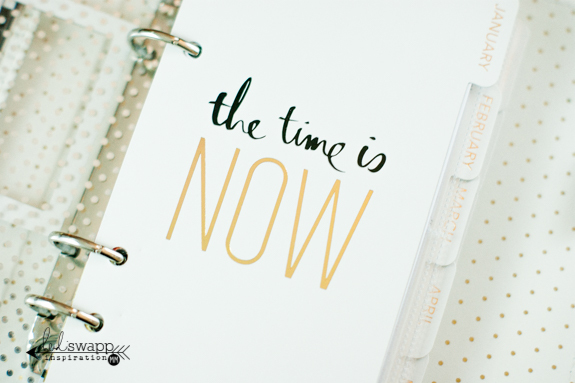 I've used one of these pages to write down my "mission" for this year...a sort of manifesto about how I plan to incorporate my theme into my everyday. ...and finally! My actual journal pages. It's hard to tell from the photo (ugh...sorry...), but I've used the white journaling prompt stickers on the bottom of each date square to spark my writing. I drew in a few lines in each box as well...just to keep me on track. Now, we're only a week into the New Year - but so far, so good! 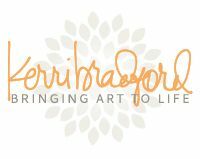 Thank you so much for taking a peek! 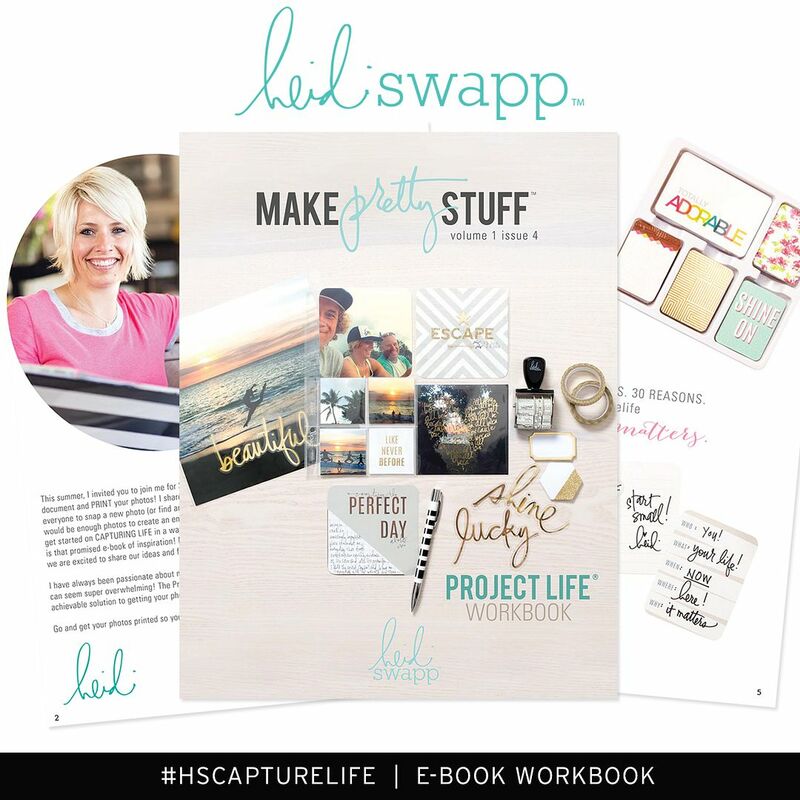 SUPPLIES: All items shown are from the Heidi Swapp Memory Planner 2016 Collection. 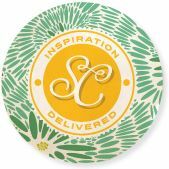 Planners and accessories can be found online and in independent shops everywhere. Beautiful! Inspiring! And so creative! I think... I'm going to try the same thing with mine! Have a blessed and beautiful day!